In addition to the specific terms the author and publisher have agreed upon for such items as the type of book, the advance against royalty amount, and the delivery date, the standard book contract encompasses a lengthy number of clauses covering important points in a book's life cycle and an author's compensation. While exact wording and terms vary by publisher, by imprint, and by individual deals, many of the topics addressed by the contract are standard. What follows is a list of the typical clauses of a book contract, along with brief descriptions as to their purpose. The nuts and bolts of the manuscript to be delivered: "a novel of approximately 40,000 words"; "a cookbook with 100 recipes and 50 color photographs." Further details describing the agreed-upon content: "a mystery novel in the Spooky Attic series, featuring the character Detective Dusty"; "recipes for everyday family-friendly dishes that take no more than 15 minutes to cook." Generally specifies that the publishers is to get world or global rights to any and all editions of the work for the duration of the copyright (currently, the author's life plus 70 years). Outlines the payment schedule for the upfront monies given to the author. Details delivery dates of the full text of the book, penalties or out clauses if the manuscript isn't delivered, etc. Outlines the extent of changes once the book goes into copyediting/production; usually intended to curtail any extensive (and expensive) editorial amendments. Concerns the publisher's obligations to bring the book to market within a certain timeframe. Concerns the author's obligations to promote and publicize the book (cooperation, use of promotional materials/photos, etc.) For high-profile authors, this clause sometimes includes a guarantee to actively appear and promote the book for a certain amount of time (say, two weeks). Authors are usually contractually entitled to a limited amount of free copies of their book, usually 20 to 25, and then allowed to purchase additional copies at a discount (generally 50% of the cover price). Note that many contracts stipulate these copies are for personal use and explicitly not for resale. 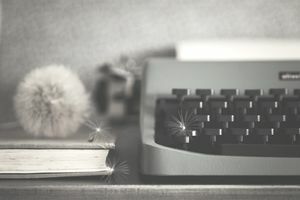 If you're an author who intends to sell your book on your own (say, at readings or book signings that you arrange), make sure to negotiate this point to come to a different resale agreement. Dictates how the copyright notice should appear. It should be in the author's name, not the publisher's. Generally, a long and complex section that deals with the percentage of book-related sales the author will receive. It outlines the rates and the terms. Any traditionally published author will be earning different royalty rates for different types of book sales and subsidiary rights sales. Any compensation given to the author before the book comes out is also indicated here; it is known as an advance against royalties or simply an advance. Another extensive portion of the contract, subsidiary rights refer to the rights the author grants the publisher to sub-license his book ("the work") for various formats and adaptations in addition to the original one (usually, a hardcover book). The clause specifies which subsidiary rights that are being granted by the agreement, and also outlines the percentage of the sub-license fees received by the publisher (from the third-party licensor) that will go to the author. Concerns the accounting of royalties, the timing of payments and royalty statements, etc. Prevents the author from writing a competitive work for another publisher at the time of the book's publication. Guarantees concerning the authorship of the work, that the work isn't libelous, etc. Concerns the trafficking of original materials and any reparations made for lost or damaged original work. Prevents the publisher from selling any part of the book for advertising space. Stipulates that the book contracted will be the latest work of the author (i.e., she won't publish something else before it comes out). Outlines the publisher's first right of refusal for the author's future work. Dictates the reversion of rights to the author if the publisher decides to cease publishing new editions of the work, letting it go out of print. Dictates procedure to remaining copies of the work, if the publisher decides to no longer keep the book in print. Dictates which state's laws govern the contract agreement. Covers third parties, like heirs, executors, etc. to whom rights and royalties go in case of the author's death. Gives the author's literary agent the right to act on behalf of the author and the work with the publisher. Assigns any rights not explicitly stated in the contract to the author. Details what happens in the event the publisher goes out of business or declares bankruptcy. The section for signatures for all parties. Disclaimer: This article is not a substitute for authoritative legal advice. If you are negotiating a book contract, you should seek the counsel of a literary agent and/or an attorney. The Author's Guild has a contract review service for members.